On this page, you will find a comprehensive contact list of all BOOST Conference team members. Please contact the appropriate team member and they will get back to you shortly! 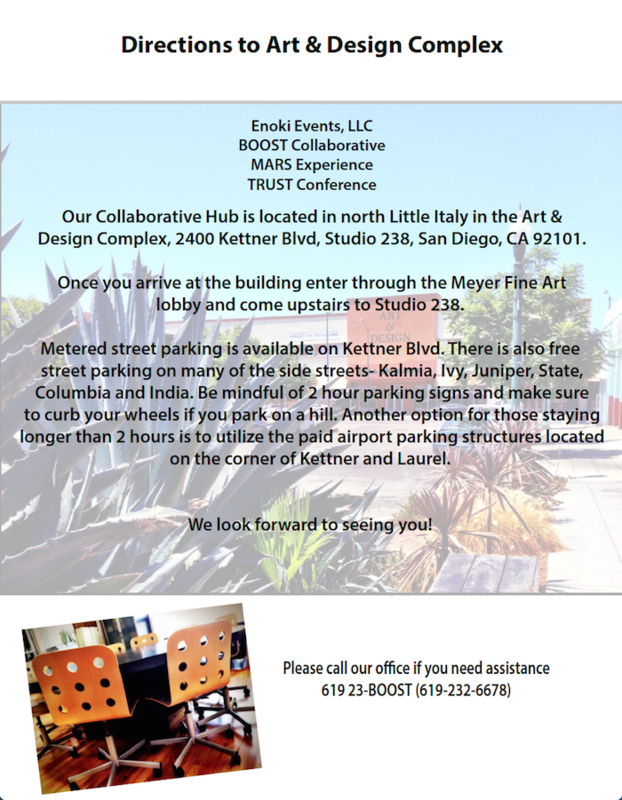 Click the PDF below for directions to the Collaborative Hub. Questions about BOOST Conference specifics?